We are sorry to hear of Kathy’s passing, may God comfort you and you are in our prayers. We are so sorry to hear of your loss! May God be with you in your time of grief. Jim and family I am so sorry to hear about Kathy. I loved her so much as friend first and a coworker second. She will be missed by us at Bobs hardware. She did a stellar job during her years in the paint department and after she retired she was always up to helping out with store events along with Jim. They have even thrown a few summer store parties at their house for us. Kathy was kind and generous. I loved our little backroom talks. I will miss her smile and that quirky little laugh she had. Remember Jim I am here for you for anything you may need. Hugs…. This is sad,she was a nice person to work with and be around. What a beautiful caring person who touched the hearts of so many of us in Otsego. She will be greatly missed. Blessings to all of her family. The Otsego community will not be the same without Kathy working to better and serve it. Condolences to her family, friends, and co-workers. Jim, so sorry for your loss. You and your family are in our prayers. I’m in shock reading about Kathy’s unexpected passing. Thoughts and prayers to you and your family. God be with you during this difficult time. We were so sad to hear of the sudden passing of Kathy. Please know that we will keep you and your family in our thoughts and prayers! Our heart felt sympathy goes out to the entire family and friends. All of you are in our thoughts and prayers. Kathy was a very special friend and will be missed. Amy and Adam, I am so sorry to hear about you mom! What a wonderful lady. She will be greatly missed. You’re in my thoughts and prayers. Just now shocked by this announcement. 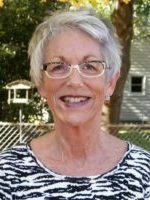 Kathy was a great neighbor but also a great community leader who gave of herself for the betterment of Otsego , the city she loved. You are missed so much and by so many. Prayers for peace for your family. Kathy was a dynamic woman who loved her family and her community. She was always so kind to me, and spent countless hours raising money for Sylvia’s Place. Rog and I were so taken aback when we heard of Kathy’s passing. Some things in life are just plain heart breaking; she was such a vibrant and caring person. We offer you our sincere condolences. May you find the strength, love and peace to get through this difficult time. We are shocked and saddened by the loss of Kathy. Sending love and lots of PRAYERS to you Jim and the entire family!! We will forever be blessed for everything she did for us!!! Jim and family, I am so sorry to hear about Kathy. She was always so happy and friendly and helpful. I was really enjoying getting to know her as a new friend. I will miss her terribly. There are so few words Jim. I’m shocked and so sad for you and your family. For now I’m sending a mental hug and strength your way until we can talk in person. It feels like we all lost part of our family. and prayers are with you and your family..
I’m so sorry for your loss. I have fond memories of Kathy. She will be missed by all those who knew her! Prayers of sympathy and comfort. Jim…….so sorry for your loss. Praying for you and your family during this difficult time. Jim-we are so sorry to hear about Kathy’s death. You and your family are in our thoughts and prayers! Jim I am so very sorry for your loss. You and your family are in my thoughts and prayers. Kathy was a very special warm loving friend and she will be sadly missed by so many. Jim and family, the depth of sorrow can not be expressed. Our thoughts and prayers are with you. Kathy was a great ambassador for the city of Otsego, and will be missed greatly. Jim, we are so sorry to hear of your loss. What an amazing, talented woman. The mother-daughter team of Decorator’s Plus couldn’t be beat! We will continue to keep you in our thoughts and prayers as you adjust. PRAYERS to the Family. SHE will be GREATLY missed by Many. My thoughts and prayers go out to Kathy’s Family. We go back to her days at Plainwell Decorators.. Kathy always had a smile on her face and was so helpful to Jim and I.
I am so so saddened by Kathy’s passing. She helped me decorate two of my houses in the past twenty-five years. She was so intuitive to what looked good, etc. My thoughts go out to her family. She will be missed by so many of us. Amy and Adam and families- I’m so sorry about the loss of your mom. The Barton/Mills connection started a long time ago and we’ve all been family since. I can’t imagine a world without your mom in it because she was loved and cherished by all of us. Please find strength in knowing how much she loved you both. Marc and Rhonda and family- I’m so sorry to hear about Kathy. Sending you all big hugs and lots of love. Jim- we are do sorry for your loss. Our prayers are with you and for Kathy. To the family of Kathy I send my condolences. May God give you strength and peace always. I recently saw Kathy and we chatted, it was so good to see her. She will be so missed. God’s blessings. Kathy was a strong, smart, and savvy lady who taught me so much. Her words and guidance are with me every day as I put brush to wall, reminding me to be confident and to never “discount myself”. I am truly heartbroken for you and your loved ones and you will be in my prayers through this difficult time. I am so sorry to hear about Kathy she was a wonderful person and will be missed. I have known Kathy since I moved to Plainwell and it was always nice to see her and say Hi. It’s always nice to run into different ones, if you’ve lived in this area for very long, Kathy was one of those people. You take the time and just play catch up. Sincere thoughts and prayers for the family and friends. So very sorry to hear this sad news. Our thoughts and prayers are with you Jim and your entire family. Sad news. I beg you to remember Psalm 34:18. The loss of a cherished loved one is the most devastating experiences a family can face. At times, the loss may seem unbearable. Please know that there are people who care and more importantly Psalm 34:18 tells us that “God is near to those that are broken at heart. He is the God of all comfort. Our prayers are with you and your family during this difficult time of grief. I was shocked and saddened to hear of Kathy’s passing. She was such a dynamic and well-known person in the community. It was a pleasure working with her at Bob’s hardware. All of us in the community will surely miss her. So sorry I can’t be there this week, but know that I am praying for your comfort and peace. The Kolhoff’s, so sorry for your loss. Our condolences to you both and the Misner family. Will keep you in our thoughts and prayers. Shocked & saddened to read about Kathy. She gave so much to the community. We were clients of her’s regarding paint, decorating, etc. she had a good eye for detail. I never regretted the decisions we made jointly. Appreciated her guidance. So skilled and talented. Sorry for your loss, gone much too quickly and way too soon. So sorry to hear about Kathy. My thoughts are with family and friends. I have warm memories of summer play dates at her house in the country. So sorry to hear of Kathy’s passing. She was always the type person you enjoyed being around, with her bright and vibrant smile. I had the pleasure of working with her during the mid 70’s at Mead Paperboard Products where she handled many jobs very efficiently and with a great attitude. I will miss seeing her at Bob’s Hardware when I visit family in the Plainwell area.